Want to experience once in a lifetime heart beating challenge? A single stake of 20,000 and you may win prizes up to 100,000! 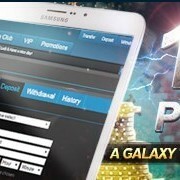 Members winning streak calculation may be counted on different tables. Winning streak duration (24hours) will start to count, once the member placed their first bet at any Live Casino Baccarat table. During the streak calculation if theres a push/draw result shown at win/loss history, all winning streak calculation will be restarted. 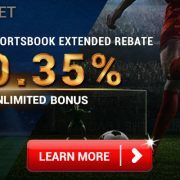 Members can only place their bet either on “Banker”, “Player” or “Tie” during the streak calculation. Any bet placed on opposite sides or both sides etc: Banker+Player, Banker+Tie, Player+Tie, Banker+Pairs, Player+Pairs, will reset the winning streak calculation. 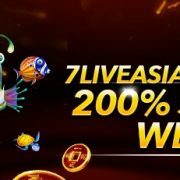 7LIVEASIA members can only claim one winning streak bonus within 24 hours. Re-claim, or any duplicate IP, email and phone number are found during the bonus claim, 7LIVEASIA hasthe rights to freeze all accounts and winning streak bonus will be forfeited. 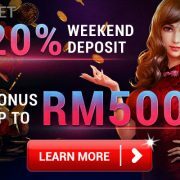 7LIVEASIA has the rights to forfeit any bonus claim, if members are using improper ways of betting or any organizational/individual fraud is detected during the bonus claim. 7LIVEASIA has the rights to charge for a fee which is up to 10% of the principle for administrative cost. 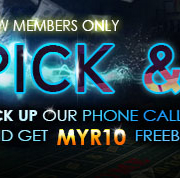 All 7LIVEASIA promotions are specially designed for members only. False identification is not allowed. 7Live.asia has the rights to ask for adequate documentation for verification during the promotional period. 7LIVEASIA has the rights to terminate or extend the promotion without any advanced notice. 7LIVEASIA CASINO Solid Score 0-0! Cash Back 100%! 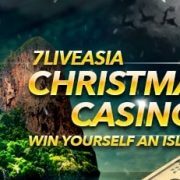 7LIVEASIA Slots Pay Day! Play More, Get More!